If your car's radiator is cold and your engine is overheating, then normally the thermostat has failed and is not opening. 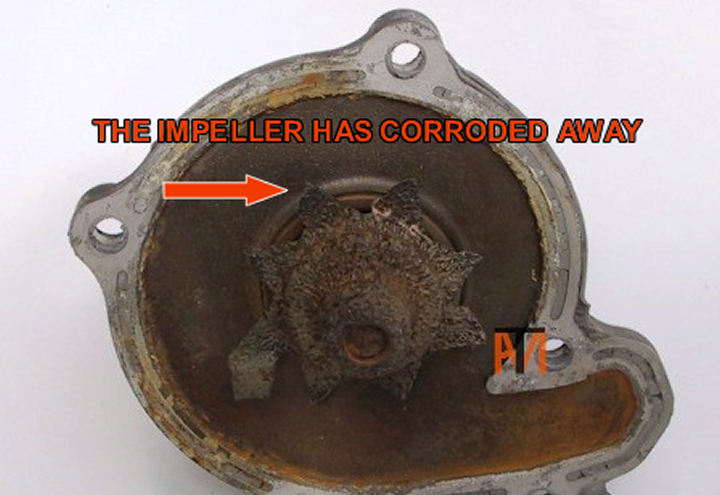 However we are seeing plastic impeller blades breaking up or corroding away in the water pump(see picture), this will stop the coolant flowing around correctly. If the thermostat fails the coolant will still be pumped around the system, so the heater and hoses will still get hot (but not the radiator). If overheating in traffic check electric fan cuts in when temperature is above 3/4, if not does the car have air conditioning? Do the fans work when it is switched on? If so we know the fan motors and fuses are ok and need to look at the sensor and control unit/relays. A lot of cooling fans are ECU switched now, and don't have a separate sensor just for the fan, which can make it difficult to bypass and test, but if you can find the control relay you can normally bridge this, see section on relays. 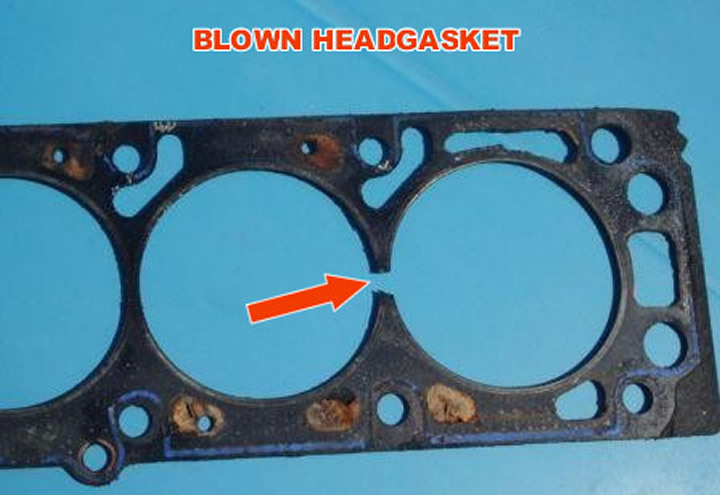 Is Your Cylinder Head Gasket Gone/Blown? Head gaskets seal three things; they keep the combustion pressures in the cylinder, the water in the water jackets and the oil in the oil ways. 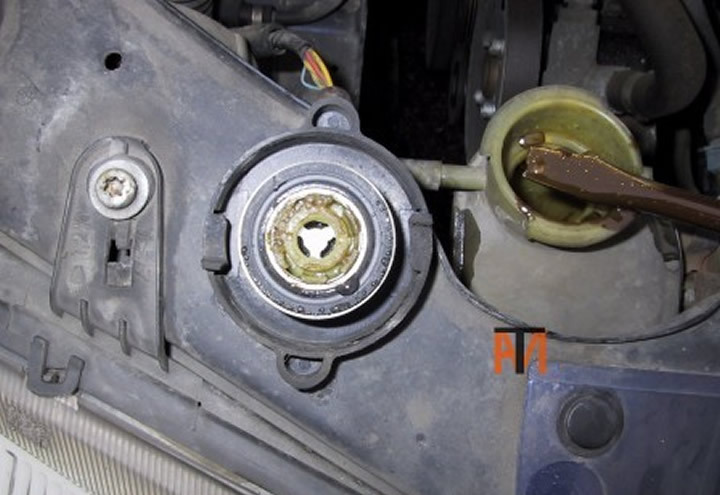 Each part of the gasket can fail, giving a different symptom depending on how it fails. 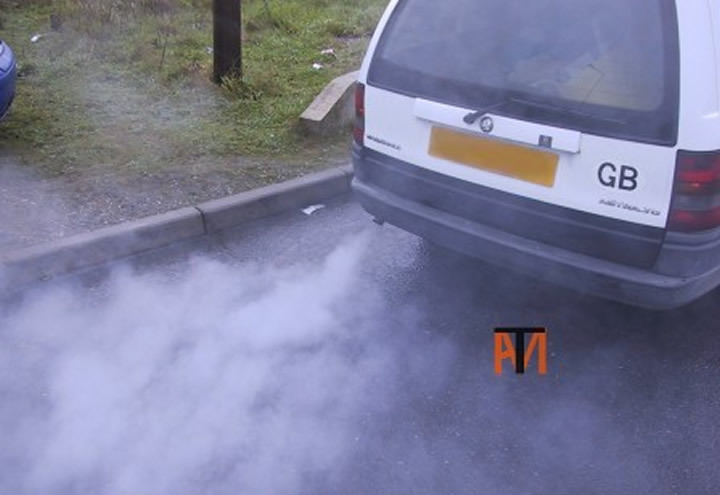 Excessive white smoke (steam) out of the exhaust when the engine is hot is caused by water leaking pass the head gasket and into the combustion chamber, it then comes out of the exhaust as steam. 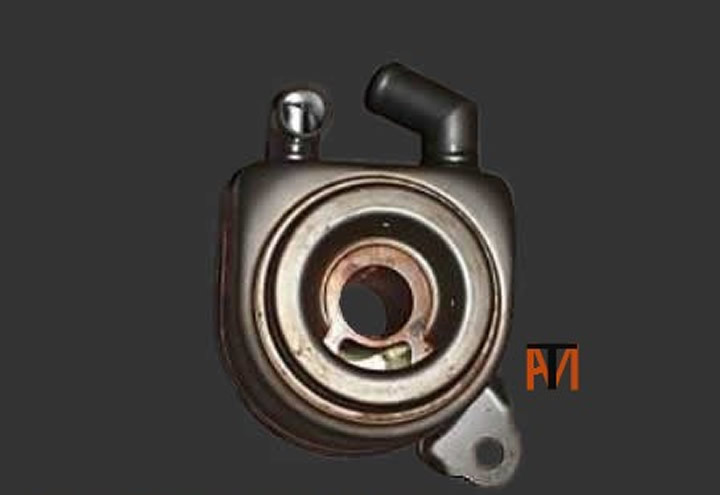 The cooling system can have excessive pressure, caused by the combustion chamber pressures leaking pass, the head gasket and into the water jacket. This will blow the water out the expansion bottle pressure cap or may even burst a hose. Oil can also get into the water (Rovers K series see picture) early signs, will be oil droplets on the bottom of the expansion bottle pressure cap, to completely contaminated coolant when completely failed. 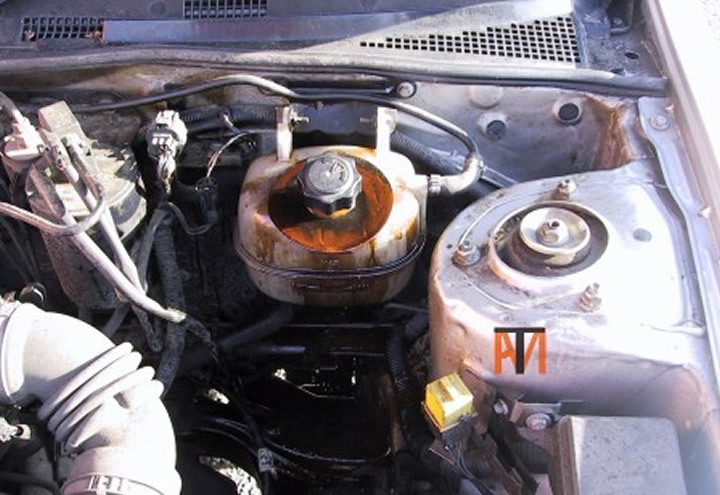 Water can leak into the oil this will show as a white cream on the bottom of the oil filler cap, if slightly gone (can also form in winter if only doing short journeys) or if badly failed the oil on the dip stick will be like cream. It is worth noting that a few cars (Vauxhall V6 engines etc.) 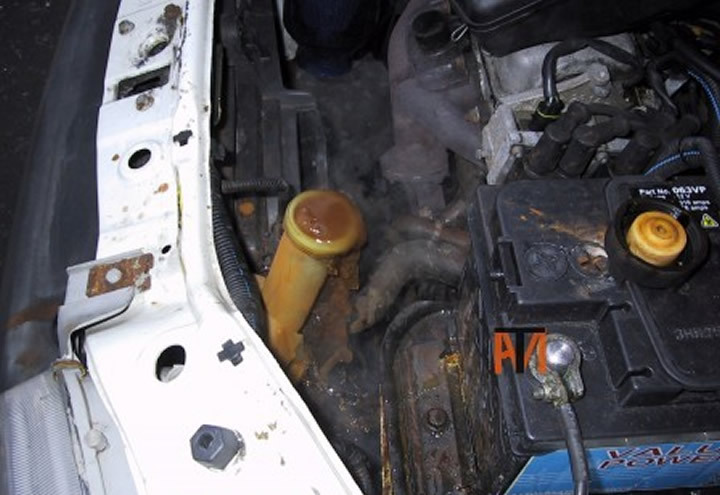 can get water/oil contamination, due to heat exchanger type oil coolers failing, these are normally fitted between the engine block and the oil filter.